The movie opens with Jasmine (Blanchett) heading out to the west coast to live with her sister Ginger (Hawkins) after a tragic set of circumstances has left her once opulent lifestyle in shambles and barely a penny left to her name. Having always enjoyed the finer things in life which were provided by her deceased husband Hal (Baldwin), she is finding it very hard to adjust to a more common existence and she does everything she can to resist the inevitable change that must take place. While Jasmine attempts to find employment and a new outlook on life, bits and pieces of her past are revealed in flashbacks and it quickly becomes apparent how she never really had any control over the world she lived in...much like how she is being forced to live now. Hal was an investment broker who was always living a little over the edge when it comes to how he ran his business, but the money kept flowing in so everyone around him chose to ride the coattails of his success for as long as they could. Eventually the bubble burst, the downward spiral began, and all Jasmine was left with was pain, addiction, and a sense of loneliness that could only be cured by the money she was so used to having in her life, but no longer had. Before I get into the story, let me just say that there are some truly brilliant acting performances going on in this picture. Cate Blanchett throws everything she can into her character and that effort will most likely pay off big time come awards season. Another standout is Sally Hawkins as Jasmine's sister Ginger who is so damn fun and likable you almost wish the movie was about her instead of her tattered and tormented elder sibling. As a bonus, we also get to see Andrew Dice Clay in a role that is about as fitting as can be for the aging comic who is trying to revive a career long thought to be dead. As for the story, Blue Jasmine is such a painful mess that I had to try very hard to keep myself planted in my seat all the way to the end. This is one of those films that tries to be a window into the reality we all live in rather than going for a more stylized sense of story telling and, as much as I can appreciate the effort, that's not the type of movie I want to see. What really killed it for me was that I really didn't like Jasmine at all and, by the end, absolutely nothing happened to change my opinion of her. 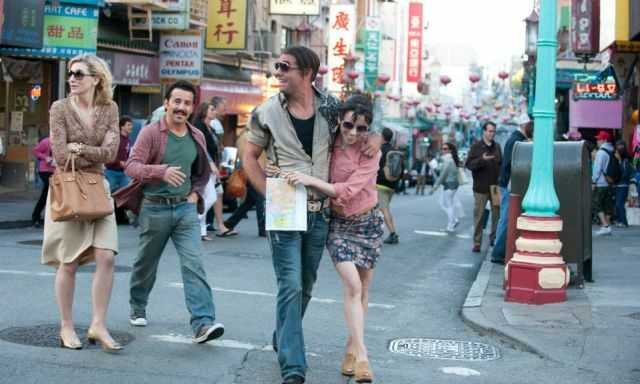 If you enjoy watching this type of movie, then by all means, enjoy. 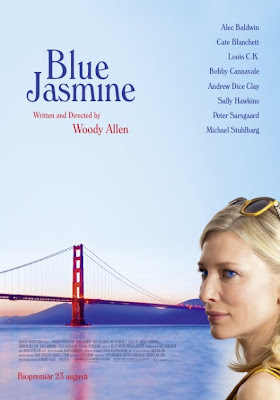 As for me, Blue Jasmine, even with strong performances from a great cast, is just too drawn out and depressing to be any kind of entertaining.